Sick sinus syndrome is a common type of arrhythmia and is generally an indicator towards a set of signs and symptoms that can tell a doctor whether or not a patient’s sinoatrial node is functioning. The sinoatrial node, or the SA node, is more commonly known as the heart’s original, natural pacemakers, and it releases electrical impulses to the heart’s upper chambers to make them contract at regular intervals. The actual cause of sick sinus syndrome is not known, but common demographics of patients include those above 50. As for treatment, doctors take a symptomatic treatment approach that includes discontinuing medications, foods, and lifestyle choices that can worsen the symptoms. In the event a patient’s sick sinus syndrome causes bradycardia, they are fitted with a pacemaker and are generally prescribed anti-arrhythmic medication. In case a patient suffers from tachycardia through sick sinus syndrome, they may be treated using medications. In some instances, radiofrequency ablation has also shown positive results. Sick sinus syndrome also falls into the extremely complex issue of having to deliver customized healthcare solutions to patients based on their personal physical characteristics. Due to the fact that sick sinus syndrome can be the cause of several symptoms that can lead to misdiagnosis, medical personnel need to consider the differences between the physiologies of patients in order to fully understand the ailments of each. The treatment of sick sinus syndrome can therefore be a part of a greater move by the healthcare industry towards advanced medical fields. Sick sinus syndrome (SSS), also referred to as sinus dysfunction, represents a group of heart rhythm disorders (arrhythmias) caused by the malfunction of the sinus node (SA), the impulse generating tissue of the heart. Some of the primary conditions that characterize sick sinus syndrome are sinus bradycardia, which is slow heart rate; sinus arrest, which is when sinus stops functioning abruptly; atrial tachycardia, which is a type of atrial arrhythmia wherein electric impulse is generated from somewhere else other than SA node; and Bradycardia-tachycardia, which is alternating slow and too fast heart rate. Sick sinus syndrome typically afflicts people over 50 years of age on account of scar like damage to the heart’s conduction system. In children, sick sinus syndrome can result from surgery in the upper chambers of the heart. Both females and males are equally susceptible to sick sinus syndrome. Factors triggering sick sinus syndrome are both intrinsic and extrinsic. Some of the intrinsic factors are amyloidosis, surgical injury, idiopathic degeneration of SA node, and cardiomyopathies. Extrinsic factors include calcium channel blockers, drugs like digoxin, beta blockers, and anti-arrhythmic drugs. Diagnosis of sick sinus syndrome is difficult as it is usually asymptomatic or has subtle or nonspecific symptoms such as fatigue, chest pain, dizziness, fainting, and shortness of breath. Intracardiac electrophysiology study (EPS) is a specific test for diagnosing sick sinus syndrome. ECG and Holter monitoring devices are also used for the same. Atrial or dual-chamber pacemaker implantation is primarily used for treating sick sinus syndrome as it helps tackle the symptoms effectively and lowers the risk of diseases like atrial fibrillation and heart failure. Drugs commonly prescribed for controlling sick sinus syndrome are beta blocker, blood thinner warfarin, and calcium channel blockers. Warfain, for example, helps thwart blood clot formation in people affected with atrial fibrillation and beta blocker and calcium channel blockers are prescribed to slow down heart rate. Depending upon geography, the global market for sick sinus syndrome treatment can be segmented into Asia Pacific, Europe, North America, and the Rest of the World. North America, among them, presents maximum opportunities on account of almost half the people affected with sick sinus syndrome opting for atrial or dual-chamber pacemaker implantation in the U.S. A proper reimbursement system is another factor significantly boosting the market in the region. Europe follows North America in terms of the potential it holds in the sick sinus syndrome treatment market. Germany, the U.K., France, Spain, and Italy together account for over 65% of the overall Europe market. A burgeoning geriatric population is slated to majorly contribute to the market in the region in the years ahead. Asia-Pacific and Rest of the World too are predicted to record substantial growth on account of the emerging economies swiftly developing their healthcare infrastructure in the regions. 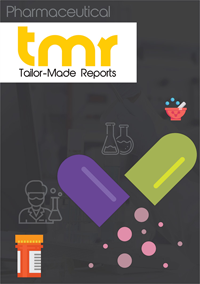 To present an in-depth assessment of the competition prevailing in the global sick sinus syndrome treatment market, the report profiles companies such as Boston Scientific Corporation, GlaxoSmithKline, Medtronic, Inc., St. Jude Medical Inc., Biotronik GmbH & Co. KG, Sorin Group, Pfizer Ltd., and Novartis AG.